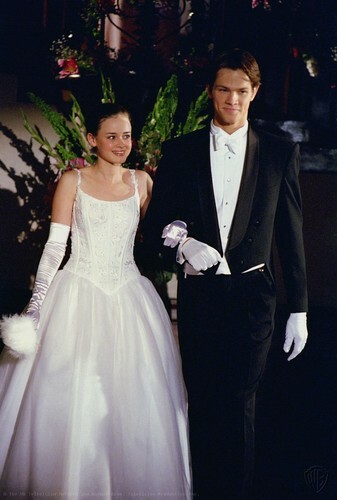 ''Gilmore Girls''. . HD Wallpaper and background images in the Jared Padalecki club tagged: jared padalecki. This Jared Padalecki photo might contain bruidsmeisje, bruidsjurk, trouwjurk, bruids jurk, wedding gown, wedding dress, japon, and jurk.